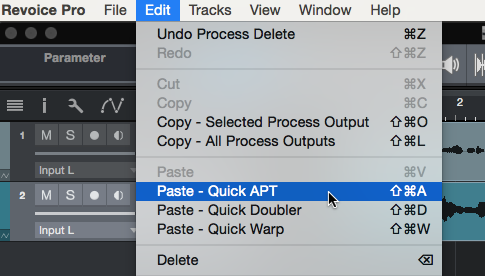 Paste the regions into Revoice Pro using the special Paste - Quick APT/Doubler/Warp function in the Revoice Pro Edit menu. In this case Quick APT is chosen. 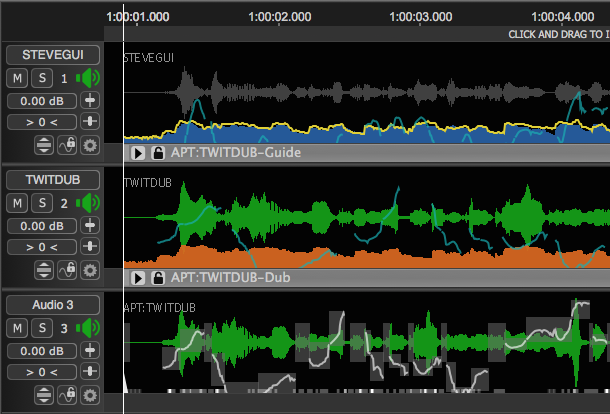 The regions appear in Revoice Pro tracks, and the processed tracks are automatically created with basic settings. You can now adjust the settings of the processes if you wish, as explained in the Processes chapters. Next topic: Transfer the audio back to Studio One.